Home > News > Branded News > Safe, simple, and easy: Remove it; don’t cut it! Safe, simple, and easy: Remove it; don’t cut it! Why destroy a valuable keepsake? 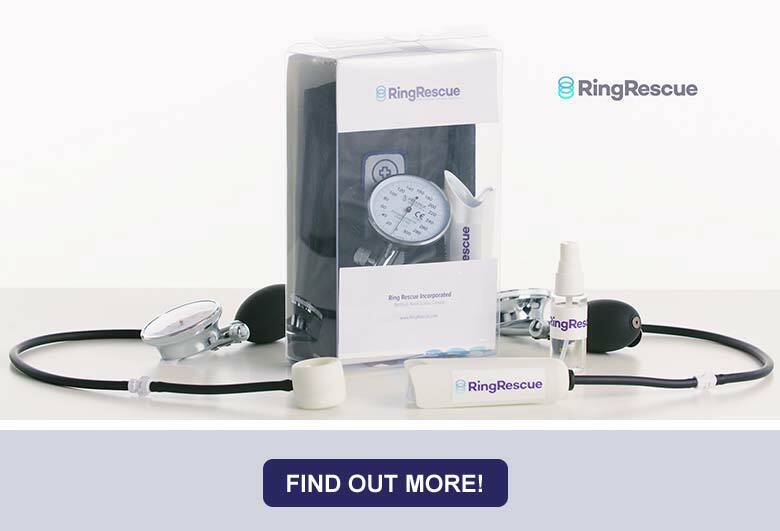 Ring Rescue offers a new, innovative, and safe way to remove stuck rings from swollen fingers. By reducing finger swelling directly, ring removal becomes simpler. With Ring Rescue, what goes on can come off—easily and in one piece. Finger swelling can occur for many reasons. Common examples include pregnancy, injury, allergic reactions, stings, and the side effects of certain medications. Traditionally, tight rings are cut off; however, cutting can be time consuming, stressful, difficult, and also poses risks to the finger. If left unaddressed, a ring can become dangerously tight and its removal turns into a medical emergency. Ring Rescue was designed by a team of medical doctors and engineers and has been approved by Health Canada. In real world hospital testing, Ring Rescue offers a new solution and sets a new standard for ring removal, for both medical and jewellery industries. Our patent-pending device is a game-changer. Simply apply Ring Rescue, inflate, and let the device do the work. Once finger swelling has been adequately reduced, your valuable ring can be directly and safely removed intact. Find out more! Visit www.ringrescue.com. All information listed in this section was submitted by Davidson's Jewellers - Ring Rescue.